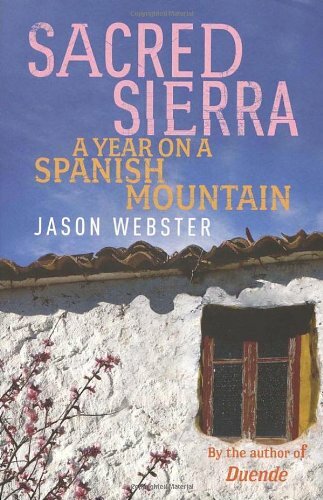 Journalist and broadcaster Jason Webster lives in Spain and has written several books about the country. His wife Salud is an actress and flamenco dancer from Valencia. 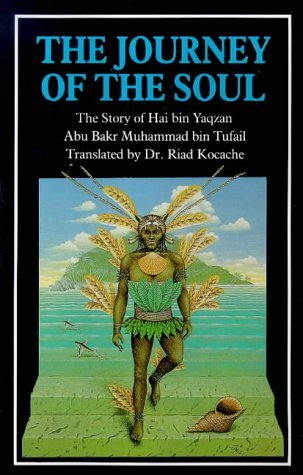 Tell me about your first choice, Ibn Tufail’s The Journey of the Soul. This is a novella which was written in the 12th century. Ibn Tufail was born in a town called Guadix near Granada and he was Ibn Rushd’s teacher who was a great philosopher. I think it is an extraordinary book. Many people see it as one of the inspirations behind Robinson Crusoe. There was a translation done of it from the Arabic into Latin just a few years before Defoe wrote Crusoe and there are various parallels between the two books. The story is that there is a boy who is the son of a princess and for various reasons the princess has to cast him off and she sets him afloat in a box and he arrives at an island and survives. The story is essentially how the boy becomes a young man and then a fully grown adult and his discovery of the world around him with no one to teach him. So you see this autodidactic journey that he goes on, first of all exploring the outer world around him, the animals and plants. And this journey starts turning into an inner journey and becomes essentially a story of a man’s journey towards ultimate truth. For me it’s really interesting because there is something quite modern about this book that was written in the 12th century – he talks about vivisection and how blood flows through the body. There is almost an understanding of evolution there. And also I think it is an incredible work of imagination. 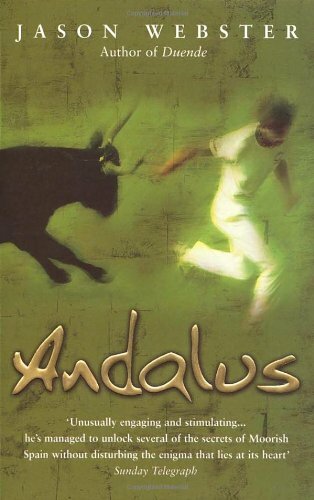 All the books that I have chosen are examples of the power of the Spanish imagination. Although Tufail starts with the scientific he ends up in the mystical, so for me this is a good kicking-off point. You have four Spaniards and one Englishman. Tufail is a mystic and Lorca is a poet and Buñuel, who is my next choice, is a visionary eccentric filmmaker – again working very much from the imagination. This is Luis Buñuel’s My Last Sigh? Yes. He is fantastic at the celebration of the non-rational which is one of the things that I find very appealing about Spain. This is Buñuel’s autobiography where he talks about how important it is to let his mind wander and to daydream even though it is becoming more and more unfashionable. He is almost like a prophet of non-rationality in this very rational world. He’s lucky in that he lived during a time when other non-rationalists were doing something similar. His group included Pablo Picasso, Salvador Dalí and Federico García Lorca. So he was part of the surrealist movement for a while, although the surrealists are seen as a strangely hierarchical sort of structure. They don’t seem to be very freedom-loving when it comes to how they act. They were constantly bickering amongst themselves and then kicking people out of their group if it offended their ideas, which is a bit of a contradiction in terms. 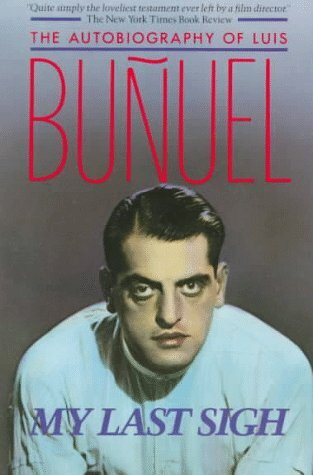 What is great about the book is that it gives you Buñuel’s life which spanned a large part of the 20th century and Spain entered it pretty much in the Middle Ages in 1900, and by the time he died in 1983 it has gone through two dictatorships, the Civil War and has finally come out as a fledgling democracy. So the 20th century is an amazing century for Spain. I don’t think quite as many countries have been through so much change, and you get a real sense of that with his book. In the early chapters he is talking about his childhood hear Zaragoza in a little village. He came from quite a wealthy family with servants but he is surrounded by this medieval poverty and the feudal system. And he laments the loss of that. I think there is something fundamentally surreal about life in Spain if you are open to it. And was the only non-Spaniard on your list open to it? 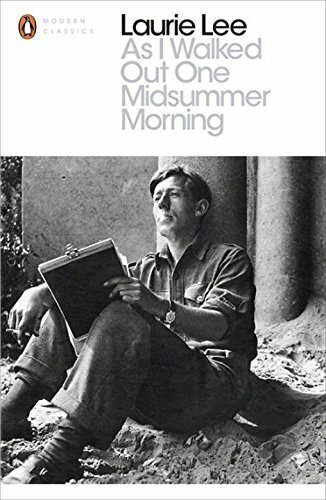 This is Laurie Lee’s As I Walked Out One Midsummer Morning. Yes, I think so. 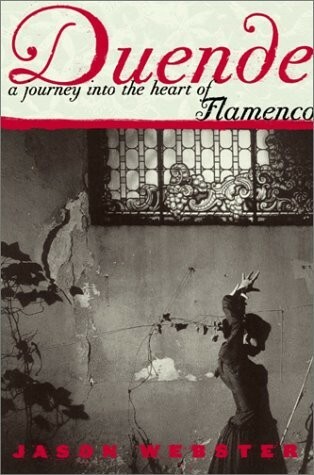 I chose him because I felt, of the various foreigners who come to Spain and engage with Spain, his is the best book in terms of engaging with this dreamy and poetic truth at the heart of Spain. Lee really expresses that very well. The book is set in the 1930s so the timing is interesting. This is the second book in his trilogy of memoirs. His first is Cider with Rosie about his childhood, then this book and finally, A Moment of War. In this one he leaves his home in the Cotswolds in England and decides to go to Spain. He says the reason he did that is because he knew how to ask for a glass of water in Spanish! It was the only language he knew, so he jumped on a boat and came to Spain. He just about made ends meet by playing the fiddle. He was there for a few years and left just as the Civil War was breaking out. So he was there at an extraordinary time. Interestingly, in the book this is only ever hinted at and I think it is all the more powerful for that, because you know what is happening and what is going to happen. And then he comes back and fights against Franco, which is the story he tells in his next book. 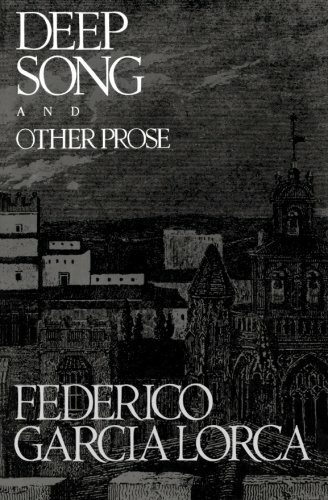 Deep Song and Other Prose is written by one of Spain’s greats, Federico García Lorca. Lorca is someone who is deeply, deeply engaged in this kind of poetic, mystical, surrealist, non-rational theme that is so much part of Spain. And I think he, more than any other person, really gets to grips with it. The essays that I am really concentrating on are ‘On Lullabies’, ‘Deep Song’ and ‘Play and Theory of the Duende’. Those three essays really get to grips with this essence of Spain. The concept of duende is a very difficult concept but it does seem to go to the heart of this sense of mystery in Spain. A duende means a goblin but it has a much wider sense than the English term. And he contrasts it with angels and muses and comes to the conclusion that angels and muses come from outside of you where as the spiritual force of the duende comes from within your blood. And he talks about this connection with the earth itself which is one of the things that I have always been passionate about in this country. There is a sort of wisdom which seems to seep from the earth itself and I think that is what Lorca is talking about. In some of the lyrics that he quotes from the various flamenco songs he talks about there is a real sense of deep understanding of the greater mystery of life. And it is interesting that he makes comparisons with the lyrics of some flamenco songs and some of the Persian and Arabic poets like Omar Khayyam and Hafiz. There is such a mix of the two cultures especially in the south of Spain. Absolutely, and that is something I am very interested in, the whole Islamic side of Spain. In some ways it is there in places like the Alhambra in Granada or the mosque at Cordoba but that is just sort of the window-dressing. You feel it goes a lot deeper. And often it is not so easy to see, you half get a sense of it. Lorca, through his poetic sensibility, is very aware of that strand of Spanish culture. 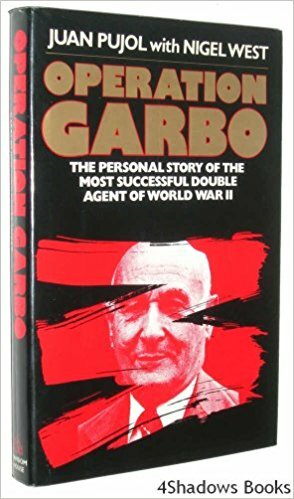 Let’s finish with a book which sounds very intriguing, Operation Garbo: The Personal Story of the Most Successful Double Agent of World War II by Juan Pujol with Nigel West. This again is about the power of the imagination. This is a very worldly book. Pujol is one of the most extraordinary characters. He ended up fighting for both sides during the Second World War. Sometime in 1941 he decided that someone had to put a stop to Hitler and he was going to do that. So what he did was to walk into the British Embassy in Madrid and said: ‘I would like to spy for you.’ And the Brits said, ‘Who are you, you funny Diego person, go away!’ And so he walked into the German Embassy and did the same thing and they welcomed him in and gave him all their secret codes and inks. So he went back to the British Embassy and told them what he had and ended up later on working for them. In the meantime the Germans told him they really wanted him to go to London but actually he went to Lisbon and just made up a series of reports about what was going on in London which he dreamt up with the help of the local library, French newspapers and a copy of Baedeker’s Guide to England. The Germans never saw through these made-up reports even though he made some real clangers. For example, he said in the summer the royal court moves to Brighton. Eventually the Brits realised there was this German spy they hadn’t caught because they were picking up intelligence reports and they heard about him and then they worked out it was the guy who pestered them to spy for them. So they brought him back to England where he ended up playing a massive role in the success of D-Day. Incidentally, he was known as Garbo because he was so good at acting and made up all these incredible stories about the network of sub-spies he had working for him which, because he was like a novelist, he described in amazing detail. At the end of 1943 he began sending misleading information concerning the coming invasion of France; the Germans believed that the D-Day invasion of Normandy was a feint. So he was a key player in the double-cross system which was the secret part of the whole D-Day operation. He managed to persuade the Germans that D-Day was actually a diversion and a tactic and the main attack would be elsewhere. And they believed him. They had their troops elsewhere and if that had not been the case there is no way the Allies would have managed to open up the Western Front. If you think about it, he is part of this surrealist theme that so many Spanish writers have. Through his imagination he was an incredible asset for the British.